Living in Belgium is relatively safe regarding health as evidenced by the absence of required vaccinations upon entry. There are, however, recommended shots be taken if one wants to be extra sure of staying in tip-top shape in the EU capital. A few weeks to a month before travel, it is wise to consult a travel medicine specialist or a healthcare worker to know which specific vaccines are helpful before travelling to Belgium. 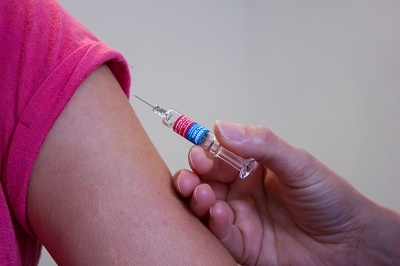 There could be differences in recommended vaccines per city, but in general, routine vaccinations for rubella, measles and influenza are highly recommended, along with Hepatitis A and B, tetanus, rabies and diphtheria. Expats coming from yellow fever-infected countries need to secure a Certificate of Vaccination before entry. To check the list of these countries, one may explore Belgium's Ministry of Health website. Basic precautions such as using insect repellents with 30-50% DEET and wearing clothes that don't expose too much skin can be helpful in preventing insect-borne diseases. It is also advisable to keep away from animals other than personal pets to avoid rabies infection. Aside from getting the recommended vaccinations, living a healthy lifestyle is an expat's best bet as far as protecting himself is concerned. A good diet, enough exercise and getting ample rest and sleep will increase one's immunity and make the body naturally resilient to diseases in general. Expats who want to ensure that their medical needs will be taken care of while living in Belgium may want to obtain private health insurance to provide coverage.